Today I bring you the step by step class that was held yesterday at the Shopping Center Lapa. The students set up a keychain using recycled CD, patchwork and some embellishments. Hoje trago o tutorial que muitas pediram do chaveiro reciclado de CD. Esta aula aconteceu ontem no Shopping Center Lapa. - ink pad (Memento or Versafine to stamp), ink pad colored / carimbeiras (Memento ou Versfaine preta para carimbar o desenho), carimbeiras coloridas para decorar. 1 - Cut a piece of paper on the measure 15cm x 30cm. Trace the template CD. Corte um pedaço de papel na medida de 15cm x 30cm. Risque o molde do CD. 2 - Cut out two circles. You can use a double-sided paper and make different sides. 3 - Glue the paper circles on the CD using glue or double-sided said. Cole os círculos de papel no CD utilizando cola ou dita dupla face. 4 - Now let's paint our stamped. I used Magnolia stamps and watercolor pencils, which was diluted using the Tombow pen clear No. 00. You can check out a video (HERE)where I teach and show how to paint using this technique. 5 - Cut out your stamped with scissors or knife. Recorte sua carimbada com tesoura ou estilete. 6 - Separate the material to decorate. Separe o material para decorar. 7 - Stick a lacy doily if you want. Mess with the edges of the CD with ink pad. Cole uma toalhinha rendada se quiser. Suje as bordas do CD com a carimbeira escolhida! 8 - Stick figure using foam tape. Cole sua figura recortada utilizando fita banana. 9 - Stick the edges to put the pendant and the clasp using the Crop-A-Dile or a drill with a fine drill. Fure as bordas para colocar o pingente e o fecho utilizando a Crop-A-Dile ou uma furadeira com broca fina. 10 - Place your pendant. Coloque o pingente ou outro enfeite como metal ou cristais. 11 - Decorate with ribbon, flowers and attach the clasp keychain. Decore com fita, flores e prenda o fecho do chaveiro. 12 - Your keychain will look like, you can write something or put a photo on the back of cards. Seu chaveiro ficará assim, você pode escrever algo ou colar uma foto no verso do chaveiro. 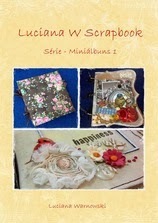 Luciana W Scrap in Facebook!!! 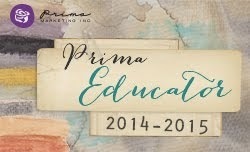 Aula em Jaú!!! Lindas telas com mixed media!! CHA WINTER 2015 - PARTICIPE!!! !